In case you didn't know - George Valentin has Hollywood in the palm of his hand, he's the guy people go to the pictures to see, but not hear. He meets aspiring actress Peppy Miller just before the arrival of the 'Talkies', which his employers Kinograph Studios decide to focus on exclusively. Suddenly their roles are reversed as Peppy becomes the new star of the movies and nobody wants to see a film starring George, the actor who won't talk. If you want to know what happens next, you'd better go and see it. I was expecting to like it and the film more than lived up to my expectations. It was a full cinema, which created a lovely atmosphere and you could really feel the audience's approval at all the little funny moments, even ones which we've already seen a million times in previews. I'm not sure if it can really give the same thrill when it goes to DVD, but in the cinema everything felt just right. The music is excellent (it really had to be in order to accompany a silent movie), the cinematography intelligent and the acting superb. I'm sure you've all heard so much about this movie, and it is bound to sweep all the awards categories. Let me just tell you that the hype isn't for nothing. It is a whole new cinema experience for many people, which makes a statement about a time of change in the industry. At its heart though, is a very sweet and human story. You will not regret going to see it! But what about the clothes? 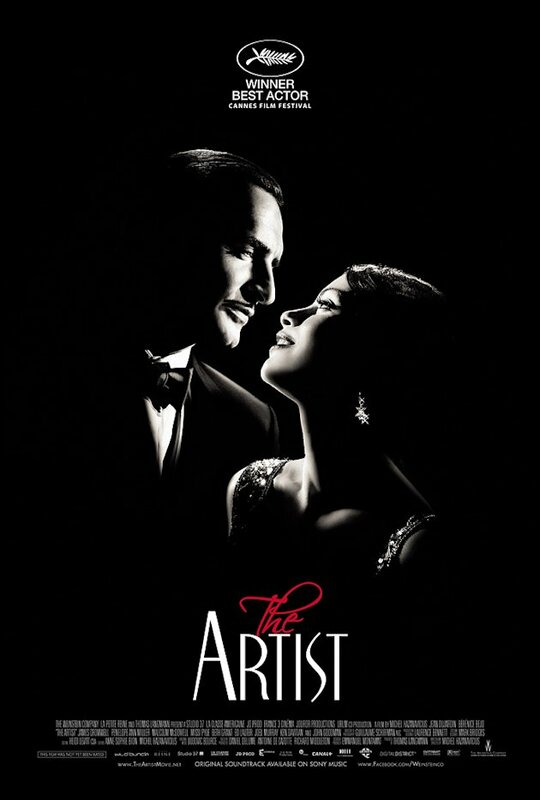 Mark Bridges has already received 5 awards for his work designing costume for the film, including a BAFTA. It remains to be seen whether he'll be handed the Oscar too, but I think it fairly likely - which is quote sad for the two films which have only been nominated in the costume category (W.E. and Anonymous) but I think The Artist really does deserve it. 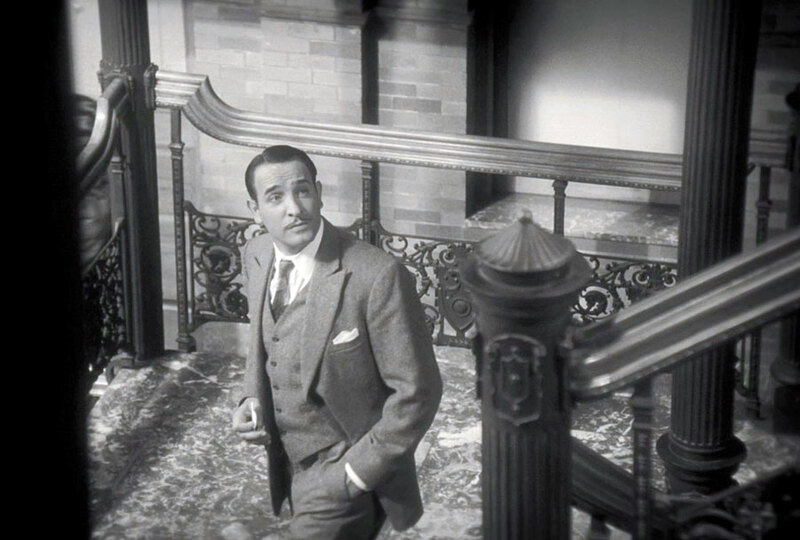 Not only did it evoke the glory of the golden age of Hollywood, it even depicted the rise and fall of the two main characters through their dress, especially in the scene on the stairs, as Peppy ascends in a brilliantly fresh white dress and George descends in a rather stuffy and old-fashioned looking suit. 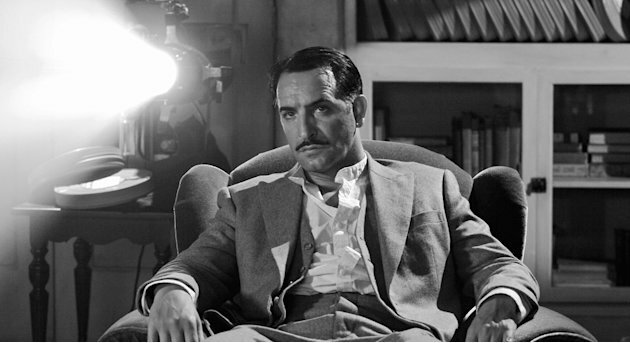 The achievement of producing costumes which maintain their full effect even in black and white is certainly laudable. I hope Bridges gets the recognition he deserves. I hear great things about this movie. I like to think I'm mature and cultured enough to sit through a silent film. In reality, I'm just not sure! Hahah. Who DESERVES to be a cover girl?